I finally took the plunge and bought a new camera.Â I’ve had my Minolta 5D for 3Â¼ years and it always was my intention to look to upgrade after 3 years. 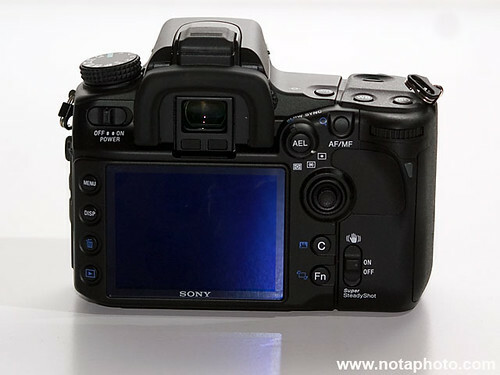 Originally there was some talk that Sony’s recently released full-frame camera, the a900, would come in at under US$2,000 so I was waiting to see what happened with that. In the end it came in at about US$2,700, and the price hasn’t been helped by the weakening of the Australian Dollar in recent months, meaning that it I want to buy one now it’s in the AU$3,800 – AU$4,000 range. There is a difference between being about to afford to buy a AU$4,000 camera and being able to justify spending that much and I just couldn’t justify the spend. If you spent $4,000 on a camera in the pre-digital days you would not only have ended up with an amazing camera, but one that would probably last the rest of your life (with a little bit of love and care and the odd bit of refurb). If you spend $4,000 on a DSLR you’ll more than likely be replacing it within 4 or 5 years. And on top of the cost of the actual camera you’ll probably have to buy a whole lot more memory cards to cope with theÂ larger, higher resolution files as well as computer upgrades for more RAM, more hard disk space, more back-up storage and possibly software upgrades to be compatible with the new camera firmware. Whilst digital has made it quicker and less messy, sometimes I’m not convinced if there are any real money savings to be had when compared against the good old days of using film and Sunday morning hangovers spent in the darkroom developing negatives. 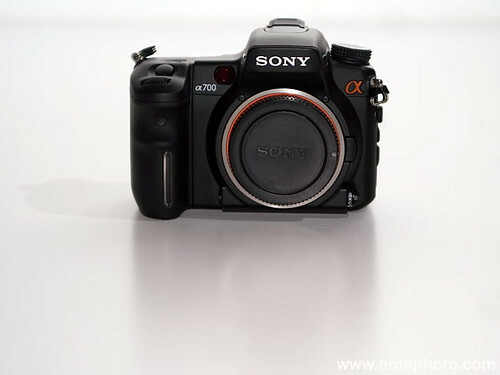 So in the end I plumped for the Sony a700. Whilst it’s a year old model, and likely to be replaced during 2009, a recent firmware upgrade has by all accounts made it into a new camera and ultimately I was finding the limitations of a more than 3 year old camera increasingly frustrating, not to mention the recent issues with metering not working in some modes making it feel that it was on its last legs. A further advantage of a new digital camera is that it means that my second/spare camera isn’t a film camera now. I was always nervous when photographing big shows, and especially festivals, that my camera would suddenly die on me and I’d have to photograph with the film camera, which meant carrying around a load of film just in case. I regret not buying it a few months ago when the exchange rates made it more like $1,200, as opposed to the $1,500 I paid for it, but I expect this to keep me going for another few years. 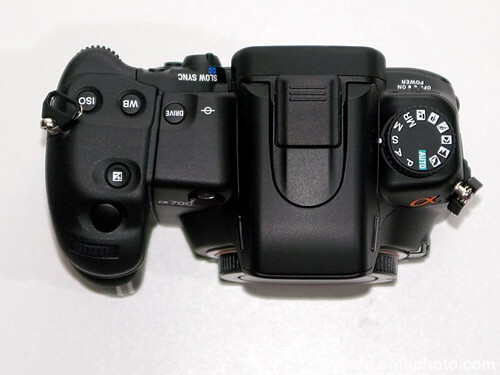 So although there are a number of things that I’m not liking on first impressions, they’re generally the more cosmetic features and the differences that you might expect after having used the same camera for over 3 years. I have taken it out and used it in anger for the first time since I listed those initial impressions and have been really impressed byÂ the image quality and ISO usability. It’s probably not going to be up there with the new Canon 5D mkII, but so far it’s looking more than good enough.Â Blog and photos are on their way. This entry was posted on Wednesday, December 24th, 2008 at 6:39 am. It is filed under Other Photography, Random and tagged with Justin Edwards, Minolta 5D, Rave Magazine, Sony a700, v4 firmware, www.notaphoto.com. You can follow any responses to this entry through the RSS 2.0 feed. I can see you hanging upside down, blindfolded, changing lenses and setting custom functions as part of your gig training. Look forward to seeing the new pics. congrats on the new purchase. I”m still getting used to my 40D, haven’t really played with it much but I love it. One thing I dislike about my 40D is the LCD screen, absolutely shocking. Have fun with your new toy. Thanks. Am slowly getting used to it, although I keep playing it a bit safe with settings, even though I know it is much better at higher ISOs than my old camera. Slowly getting used to the weight of the thing, although my arms were really tired during some of the ATP Mt Buller sets. Looking through the ATP photos I’m pretty happy with what I got so it’s definately been a good buy.